A sudden jolt, then a frigid fight for life. “Only God would save me,” Becky Musa would tell her fellow actors. A member of Collective Artistes, in 1989, she was diagnosed with a life-threatening ailment that required urgent medical treatment abroad. The cost of treatment then was $30,000. Becky was pummeled by what Dr. Ogunaike, Head Cardiologist at LUTH, called Cancer of the lymph, otherwise known as Non-Hodgkin’s lymphoma; a condition, which stops the flow of blood from the heart to other parts of the body. For months, she became so bloated that even movement was hampered. Her gigantic size was caused by the inability of the blood to circulate properly. She struggled for survival. Doctors had given her a few days to live, but she kept praying. And the paralysing weight of helplessness was much on her. But succor came at last. And through an unexpected source: The First Lady of Nigeria, Mary Babangida. When the Collective Artistes raised the alarm over her ailment, Maryam convinced her husband to help and they did. Becky was flown abroad for treatment and she was brought back, hale and hearty. Becky’s acting career, which started with a role in the now rested Mirror In The Sun, which aired on Nigeria Television Authority’s (NTA) was truncated by the illness. Becky was lucky. Many artists have not been that fortunate. The veteran moviemaker, Chief Eddie Ugboma, is not among the fortunate ones. Everyday, medical bills keep piling up. In the last few months, the veteran filmmaker has been drunk with medications that he would later say he barely retained memory how far he had gone on them. “I am seriously ill. The sickness has affected part of my eyes and ears. I can hardly hear very well unless you shout, I can’t hear you. I don’t see properly again,” his story slowly unfurled. “I’ve been going from hospital to hospital, but the doctors have been diagnosing malaria and typhoid. 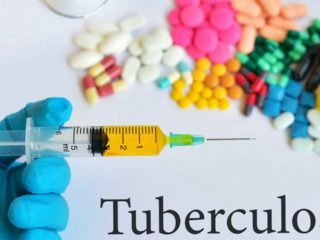 It was on the verge of dying that a young doctor who heard of my complaints and carried out different tests that discovered that I am not suffering from malaria or any of the earlier diagnosed sicknesses,” he said. “I hardly sleep for long both at night and in the day. I am most times in pains in my head. And from the diagnosis I have to go abroad for treatment, which costs a lot of money,” he said. Since 2015, the visual art sector has lost so many renowned artists. 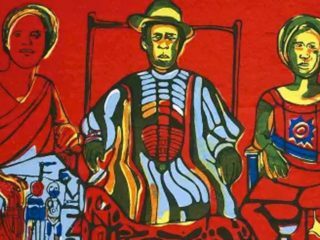 They include, Sola Fakeye, son of master sculptor, Bisi Fakeye; painter Ben Osaghae, Kunle Osundina, master sculptor Monday Akhidue, his protégé Osatuma and many more. Though there is no readily available statistics, a lot of artists are dying or facing health-challenging issues that require assistance. Everyday, the country’s newspapers are filled with save our soul messages and appeal for help. Only recently, the oil magnate and billionaire, Femi Otedola, came to the rescue of popular Nigerian actor, Victor Toye Olaotan, who has been sick for two years. He settled the $50,000 needed for hospital bill abroad. The family of the former Tinsel actor had begged Nigerians to contribute to save their father. Before he died, Nigerian singer, Lord of Ajasa, needed funds to undergo a peptic Ulcer operation. The rapper sought the help of the public to raise needed funds. The ordeal of African Queen Music producer, OJB Jezreel with kidney failure comes to mind. He struggled to get the required funds for his kidney transplant and had to resort to begging Nigerians to save his life and donate money for his operation. Seasoned Yoruba actor, Samuel Adesanya, popularly called Pastor Ajidara, died of kidney failure. His family had called for financial support of N12 million from the public, following his doctor’s recommendation that he would need a kidney transplant to survive. Mufutau Sanni, popularly known as Ajigijaga Broken Bottle, known for his tough and criminal roles, had an accident with his bike and died two weeks after due to an infection for lack of proper care. Chris Nkulor, another actor, who hit fame with his roles in Battle of Indemnity, Hidden Treasure and Hidden Treasure 2, died at the Obafemi Awolowo University hospital from a kidney ailment, because he was unable to raise N3 million required for his surgery. The late Pete Eneh died a month after losing one of his legs to amputation after an infection on the leg. Muna Obiekwe was one of the A-list actors in Nollywood before he died of kidney failure. Romanus Uchenna Amuta suffered from partial paralyses many years before he died of stroke. Uchenna was known for his role as Natty, the hungry man, in the now rested sitcom of the 80s, New Masquerade. The Umuahia-Oboro, Abia State-born Ashley Nwosu died, because he could not afford the required medical treatment to save his life. Enebeli Elebuwa died of stroke in an Indian hospital where he was receiving treatment. Peter Bunor also battled stroke for five years before he died. After a protracted battle with diabetes and kidney ailment, veteran Nollywood actor, James Uche, died. He passed on in an ambulance while on the way to undergo dialysis. The actor passed on two days to his scheduled trip to India for a kidney transplant and eye surgery in India. Victor Eze Okwuchukwu, who played Alika in the popular TV series, Fuji House of Commotion, passed away after a long battle with stroke. But Mabel Akomu Oboh believes there is hope. “These stars can be saved before their health deteriorate,” she said. She revealed, “I saw some actors in the new Nollywood like Muna Obiekwe and the rest of them dying like that. And looking at the cause of death, we came to realise that it’s all about lack of money. I was actually in the UK when Sadiq Daba’s problem started. I saw the campaign on Facebook and I said this is it. The seasoned broadcaster last December had promised to roll out an insurance scheme for entertainers, which would kick off earlier this year. She has kept to her promise of rolling out an insurance health scheme for Nigerian entertainer as her NGO, Mabel Oboh Centre for Save Our Star, MOCSOS, recently signed a healthcare partnership deal with Ronsberger Nigeria Limited, a health insurance company authorised and regulated by the National Health Insurance Scheme to provide qualitative healthcare insurance package for the federal government and other interested parties. The insurance scheme is being packaged to benefit Nigerian entertainers who often go cap in hand to beg for financial assistance whenever they are down with one ailment or the other. Oboh said having access to medical care would automatically put an end to the incessant deaths ravaging the entertainment industry in recent times. She, however, called on the government at various levels, corporate bodies, well meaning Nigerians and the international bodies to support this noble project to achieve its desired goal. 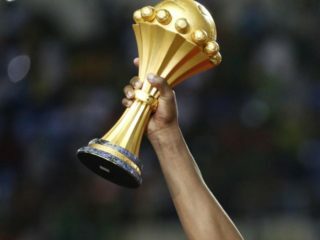 According to her, the NGO is targeting a reasonable enrollment comprising musicians, actors, dancers, journalists, comedians and sports men and women with a projection to reducing drastically the health issues among the entertainers in this country. “There is poverty in the entertainment industry and it’s time to say, ‘talent is not enough.’ We need to acquire skills to complement with whatever talent we have. I am also calling on the veterans in the industry to avail themselves of the opportunity of being retrained and acquire a new skills that would reshape their future,” Oboh insisted. The campaign, according to Mabel, will benefit entertainers, who are suffering from critical ailments and lack the means to help themselves. “Producers, actors, actresses, script writers, musicians make up artistes, journalists among others are part of the total package,” she said. “I want to stop the idea of going to the public to beg for support each one of us took ill. We are like a family; we will help ourselves and families don’t leave each other. When we start helping each other, that’s when the outside will come to assist us. That’s what I’m trying to put together. It’s not a situation where people can take advantage of us,” she added. She, however, called on entertainers in the country to join forces with her to make the campaign a reality. UK-based JOM Charity, an NGO, has equally expressed its desire to support the newly launched MOCSOS affordable health insurance scheme for Nigerian entertainers. Founder of JOM Charity, Josephine Oboh-Macleod, said her organisation decided to identify with this laudable project, because genuine health insurance scheme is very good for artists, entertainers and their affiliates. “It is one of the insurance schemes you do not have to be a member of an association to join,” she said. Also speaking, the Managing Director/CEO of Ronsberger, Dr. Michael Egbejumi-David, said his company decided to sign the contract with NGO because they believe in the NGO’s objective. “The NGO’s vision also fits into our own vision in making sure that we provide universal access to healthcare to all Nigerians for a token of fees,” he said. Founder and President of Eko International Film Festival (EKOIFF), Hope Opara, told The Guardian recently it would be a great relieve if every artiste belonged to one HMO or has a health insurance policy. The EKOIFF boss disclosed that he has been a beneficiary of such facility in the past when he took ill, adding that though the HMOs service are limited by the agreement reached while engaging them, they are, however, better than not having any. He noted that after the initial treatment given to him, he had to personally foot the bills of other treatments, locally. On why most filmmakers do not have health insurance scheme or HMO, Isioma Williams, Founder, Drumview Concepts, revealed that sustenance of the scheme is the major key to operating it. According to him, artistes are willing to take up health insurance, but sustainability is the major challenge, because a good number of Nigerian artists do not have regular or steady incomes to feed themselves and cater for their daily needs, less servicing their insurance policies. But many have asked why do artists not show interest in health insurance? So many of them have crazy lifestyle and are wasteful in their spending, critics have reasoned. A typical Nigeria celebrity is seen as a wealthy personality. Going on tour around the world, shooting videos and making people know they are a force to be reckoned with. As an upcoming artiste or actor a lifestyle is created to help in championing a career, a lot is provided by a label for instance in the music industry like house, car and some cash for the particular period as agreed by the contract. But when they start making money, the extravagant lifestyle creeps in. Some spend about hundreds of millions to get a house while others spend same and above to get ‘lambogini’ just to pose with it because of what they watch on MTV or Channel O. Everyday, the media is flooded with the news of celebrities replacing their Porsche car with new ones. Mercedes Benz G-Class, BMW X6 and Range Rover, Bentley Continental GT have turned to their toys. Beyond their flamboyant lifestyles, Oboh said, “there is a lot of stress in entertainment and that stress pushes people to alcoholism and drug abuse. 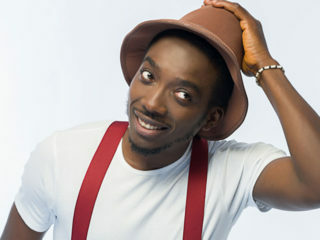 Last year, at the Social Media Week, music star and entrepreneur, Oladapo Daniel Oyebanjo (a.ka. 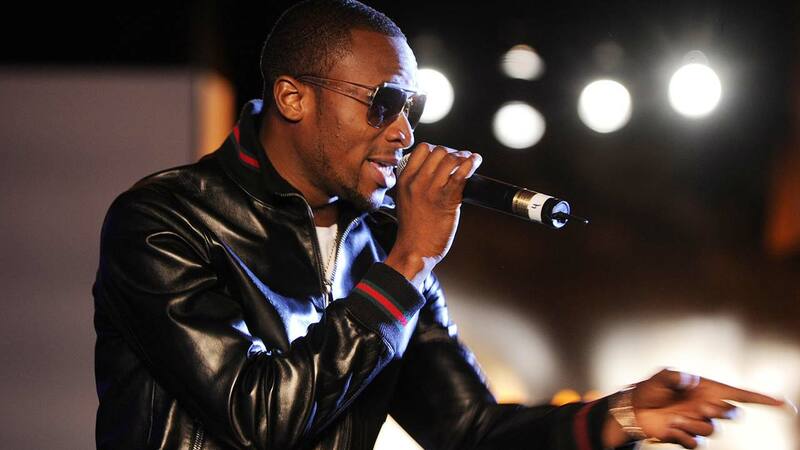 D’banj), revealed that the fear of poverty made him to think out of the box to create wealth. D’banj spoke on the topic, Changing the Game: Artistes are leaders. The music star said that fame might not bring wealth but thinking out of the box will. “The fear of being poor made me to think out of the box to create wealth for myself and remain relevant. Fame will not guarantee you money; fame will not give you wealth, but it can give you what you need if you channel it properly. Channelling your fame properly to create wealth is another advantage that stands you out,” D’banj said. He said that it was high time artistes created brands for themselves and be ambassadors of their own brand. For Williams, actors are not paid their correct worth, so it would be very difficult to even pay for health insurance. Many have argued that rather than continuous appeal for sick actors, there is need for the different unions to launch foundation, which will help members.